Are you like me, folks? 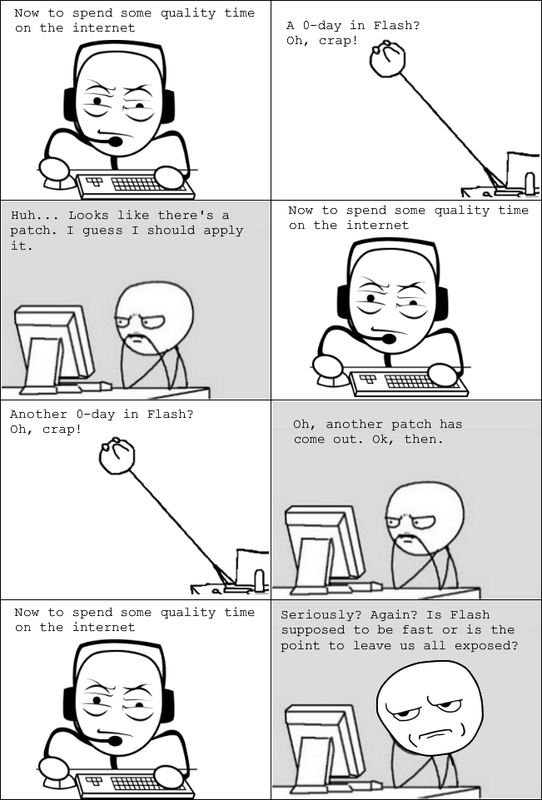 Are you getting tired of installing Adobe Flash patches every couple of days? Are you wondering if perhaps there's a better way to solve this problem?